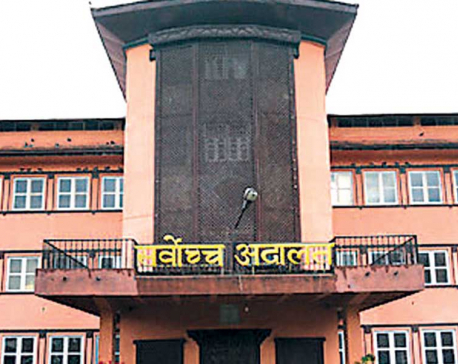 KATHMANDU, May 15: Benu Dahal, 74, of Budhanilakantha Municipality-8, found herself confused as to whom she voted for by the time she arrived home. She expressed her confusion with her family when she reached home from the Jagannath Temple polling center. In fact, Dahal had discussed with her family members about the process of casting vote. But she could not learn it properly and found ballot paper too long. “I had prepared to cast my vote but when the election officers gave me the ballot paper, I was really puzzled,” she added. Sabin Baidhya of Kathmandu Metropolitan City-20 had the same experience with the ballot paper. “I have been casting votes for the last 40 years. But choosing the leaders of my choice from this ballot paper was tougher than ever,” Baidhya said. He went Sunday Morning to cast his vote at Paropakar School. He had also learned from his wife, who is an official deployed by the Election Commission to impart voter education to the voters, to cast vote but he was confused when he got the ballot paper in his hands. “I have participated in the voting process in six elections so far but I was confused during the local election, which happened today (Sunday) after 20 years,” he said. Sunita Dangol, a youth from KMC-21, cast her vote with confusion regarding the ballot paper. “I was slightly confused when I was marking with the voting stamp for the second member (open category) of our ward. Because, there were two symbols of the same candidate and it confused me to put voting stamp because of very small space,” she said. Tara Shahi, a housewife of KMC-23, too, was worrying about the long ballot paper though she had voted in around five elections earlier. “The ballot paper was too big and it was difficult to fold also,” she said. Former chief election commissioner Nilakantha Upreti said that the ballot paper made it difficult for the voters to choose the candidates of their choice. He said that the complicated ballot paper should be corrected in the next elections, if the voters would use their discretion through cross voting. “Otherwise, the political parties who get their symbol on the top of the ballot paper would get the highest votes in the election,” he added.